Four people have been charged under the Misuse of Drugs Act following proactive enforcement activity in Midlothian. At around 11.35am on Monday (January 15) local officers in Mayfield observed suspicious activity within a Peugeot car in Mayfield Place and carried out a search of the vehicle and the occupants. As a result, 2.6g of cocaine and 2.6g of cannabis were recovered. A 65-year-old man and 24-year-old woman were arrested and scheduled to appear at Edinburgh Sheriff Court on Tuesday, January 16. The same day, police in Dalkeith stopped an Audi A3 on Newbattle Road at around 6.30pm and conducted a search of the car and the two passengers, resulting in 1.5g of cocaine being seized. 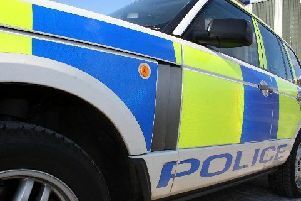 A 21-year-old man and 22-year-old woman have been reported to the Procurator Fiscal and will appear in court at a later date. Sergeant Stuart Aitchison said: “These drug searches were conducted because of the vigilance of local officers and resulted in harmful substances, intended for dealing within the Midlothian community, to be seized.